Coconut oil is everywhere nowadays, and people have been shouting about the benefits for ages. But where are these claims coming from? Is there any basis to them? Well, as an avid coconut oil user, I wanted to delve a bit further into it and see what I could see see see. Recently coconut oil was on the receiving end of some bad rep when it was revealed to contain a load of saturated fat. There’s been a war waged on sat fats for years, because it was said to “clog your arteries”, causing heart disease. Turns out saturated fats aren’t the big bad artery-clogging villains we once thought. In fact, it’s being revealed through several studies that they do nothing of the sort! Most of the sat fats found in coconut oil aren’t just any sat fats – they’re Medium Chain Triglycerides (MCTs), which means they are metabolized differently from “normal” (longer-chain) fatty acids. This means they can be used straight away as a quick source of energy (MCTs are harder for the body to store as fat, and easier to burn off), or be turned into ketone bodies, which have been shown to have a therapeutic effect on some brain disorders. Okay so I know that everything under the sun now claims to be a fat-burning miracle cure, and I am by no means saying that if you chug a couple of tablespoons of coconut oil every morning you’ll end up looking like Chris Hemsworth or Adriana Lima. No, really though – hold your horses and listen to this. I’ve just mentioned those MCTs, which are basically medium length fatty acids. Fatty anything and weight loss… doesn’t seem logical does it? But remember what I said above, MCTs are metabolized differently to longer chain ones. In fact, the body finds it harder to metabolize them, so most are burnt off before they are stored as fat (in the adipose tissue). MCT’s have also been shown to have a longer satiating effect in both animals and humans, meaning that satisfied, full feeling you get when you eat comes on quicker and stays longer. The MCTs in coconut oil have also been shown to increase how much energy your body burns off on a day to day basic (for example, 15-30 grams of MCTs a day leads to an increase of about 5% more energy burned than over 24 hours – that’s about 120 calories a day), which could have significant effects on weight loss over the long term. While I’m both excited and impressed by the studies I’ve read on this, I want to reiterate that I’m not saying that ingesting coconut oil is going to mean bye-bye to your body fat. There’s still a load of research that needs to be done in this area, and obviously weight loss is never just down to one thing – it’s a mix and balance of a healthy diet and exercise. Almost 50% of the fatty acids in coconut oil is lauric acid. Coconut oil also metabolizes to form monolaurin. Both of these have been found to be amazing at getting rid of all those harmful germs we try and avoid or kill. This means that ingesting them can kill off bacteria (such as Stapylococcus aureus – which causes skin diseases such as impetigo), viruses, and fungi (such as Candida albicans – the fella associated with yeast infections). There’s even been a study in the Philippines that found monolaurin from virgin coconut oil as just as good as (maybe even better than) fighting the pathogen Mycobaterium tuberculosis (the little guy responsible for TB) than antibiotic drugs such as streptomycin, isoniazid, rifampicin, and ethamburol. This stuff really is fantastic for your stomach and gut. Not only that, this stuff is great for oral hygiene. The anti-bad stuff can improve your dental health, and even help with bad breath issues! But let’s not stop there – for yonks it’s been used as a natural teeth whitener, through the process of oil pulling, where you swill the oil around your mouth for 10-20 minutes. It’s said to pull the toxins from your gums and help whiten your enamel. I (as well as countless other people) also use coconut oil as a moisturizer for the hair and skin. Aside from the moisturizing properties for the skin, the anti-bacterial properties means it can actually help clear up skin conditions, including acne vulgaris, and help with the healing of cuts and grazes. Have you ever put some oil on a pan, turned away for a while, and looked back to see the oil billowing with smoke? This is because every oil has their own smoke point. This is the temperature at which the oil begins to break down. This makes the oil rancid, and produces nasty things like free radicals (which wreak havoc in your body). Glycerol in the oil is also converted into acrolein at the smoke point, which is a chemical found in cigarette smoke that is believed to be a cancer-causing agent. Coconut oil has a smoke point of about 176 degrees Celcius, which is higher than unrefined olive oil, and butter. This means it can withstand a higher temperature than these before it starts to break up. However – this doesn’t mean it’s the best oil out there in terms of the temperature of smoke points. Extra virgin and virgin olive oil, along with some others, do top coconut oil. However part 2 – how good an oil is to cook with is not just down to its smoke point. Every oil has a different stability, which comes down to the number of bonds found between the atoms that make up the oil. Coconut oil, as mentioned in point number 1, is full of saturated fats. This means there are a load of double bonds between atoms, which are stronger than single bonds. This makes it significantly more stable (because these bonds are harder to break than single bonds at any given temperature). This means they actually do quite well at high cooking temperatures. Unsaturated fats like olive oil are relatively stable, but actually hold a lower smoke point than saturated fats. Have a look at some info on smoke points here and here. Not all oils are created equal. As with pretty much everything you put in your body, the more natural, untouched and unaltered something is, the better. Buying organic, virgin coconut oil allows you to reap the benefits I’ve covered above. Refined coconut oil, however, is a no-go. This is where they chemically extract and bleach the coconut oil, and could contain trans fats, which wreak havoc on our health. As we’ve covered in this post, coconut oil differs in many ways from other oils, and has many benefits. But that’s not to say other oils don’t have their own benefits – different people may see different oils as being better than others for any number of reasons. So for this reason, by no means am I saying “all ye who read this shalt convert to coconut oil, or be condemned“. In fact it’s quite the opposite – be open to learning about and experimenting with different oils. They all do different things, after all! 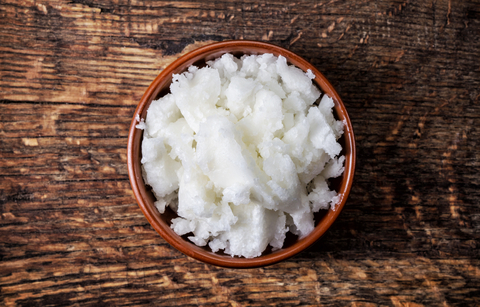 There are loads of uses for coconut oil, so here’s a few pointers on what to do with it, and where to get it into your life. Biona virgin coconut oil was the first I used and is probably still my favourite. It tastes amazing! There are loads more on the market, and I’m currently using a realfoods own brand one, which is great to cook with. It’s best to experiment around and see which ones you prefer! I’ve included a link to biona oil so you can see where to buy it, as it’s a great one to start with. Just click on the image below! Cooking! One of the main reasons I love cooking with coconut oil so much is the added sweetness it gives food. I now can’t eat bacon without it! Baking – coconut oil is a great substitute for butter in many recipes. In smoothies – chuck a tablespoon of coconut oil into your smoothies to get an added boost (plus some flavour!). As a boost to your oral hygiene. As I mentioned above, this is great to kill off the nasties that cause bad breath, as well as being reputed to whiten teeth and pull toxins from your gums in the process known as “oil pulling”. Ever seen those people on instagram with the little white sachets, boasting how much it’s helped their teeth? That’s coconut oil pulling! Get a tablespoon or two of coconut oil, and swish it around your mouth from anything between 10-30 minutes. You’ll get a build up of liquid in your mouth (as you’ll keep producing saliva) but if you let some out into a glass it’ll make some more room. It’s super important not to spit your coconut oil down the drain! It’ll solidify and over time might end up clogging your drains! It’s best to spit it into a plastic bag and chuck it (or, for the lazy, just spit it straight into the bin). A hair and skin moisturiser. Put it on dry hair and leave it for about 30 minutes before washing it off. Just make sure you don’t try and wet your oil-covered hair before you put shampoo in! Rub the shampoo directly onto your coconuty hair and work into a lather before rinsing. Then shampoo as normal… Move aside Tresemme, this stuff is amazing. Rub it on your skin to get a moisture boost, as well as killing off some of those nasties that can cause acne! I wouldn’t use this as a day-to-day moisturiser, though, as it’s an oil so it’s quite greasy. I usually do it if I’m feeling particularly dry or I want a little face mask! I then wash it off (using the same method as the hair mask – body wash first, water second). A spoonful a day keeps the doctor away… Some people swear by having a tablespoon or so of coconut oil a day. I personally find it a little hard to swallow, as its a pretty weird feeling swallowing a tablespoon of pure oil! But the people that do it swear their skin is ageless and clear, they have more energy, and never get sick. Might be worth trying, if you can stick to it! Next Post caffeine – what’s going on in that cup of coffee?